I am a Southern girl. Born and raised in North Carolina. I know that ain’t deep South, but we still consider ourselves Southern in most every way you can think of. Food being the main one. And one food that stands out as being pretty darn Southern is cornbread. And we are VERY persnickety about our cornbread. It can’t be sweet. (That’s corn cake.) 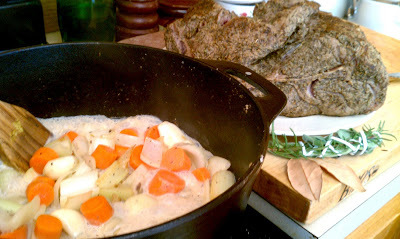 If you’re doing it right, it’s done in a cast iron that’s been preheating in the oven while you mix. And if you’re true, old South, you’re using bacon grease from the coffee can sitting next to the sink. 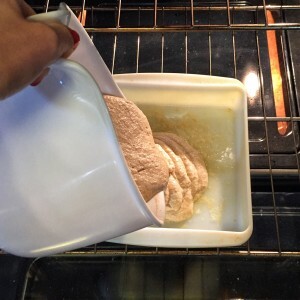 Besides sugar, wheat flour is another thing that traditionally isn’t found in true cornbread. And the reason is utilitarian. Years ago, pre 20th century, cornmeal was commonly available and cheap, so cornbread was the daily bread of the southern diet, so to speak. Wheat flour was pretty hard to come by and more expensive, so you’d find the other Southern bread- biscuits (wheat flour based, obviously) in more wealthy homes and maybe on a Sunday dinner table. But cornbread was an everyday, humble meal addition. 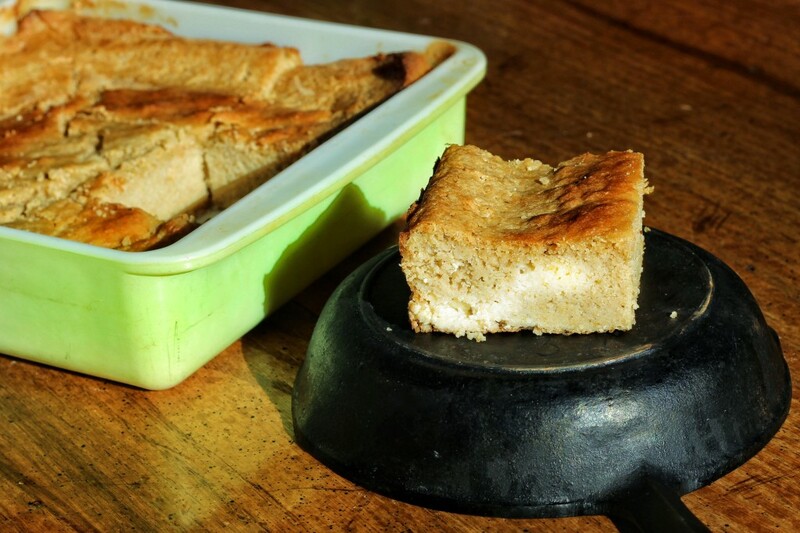 Nowadays you do find wheat flour in some traditional southern cornbread recipes, Kentucky being one of the southern states who stands behind their wheaty cornbread, but across the board- sugar remains off limits to any true southerner. It is odd though, that ‘traditional’ cornbread recipes differ depending on who you ask- wheat being sometimes ok but sugar never. And here’s why- just like most things in our food industry, cornmeal is something that has drastically changed over the years. Pre 20th century, corn was ground in stone mills powered by water. Stone mills, using large millstones, would grind every bit of the corn into meal, leaving only just enough behind to pay (as a toll) to the miller (this was called toll milling). So farmers would come in with their 4 bags of corn… and leave with 4 bags of cornmeal. Even Stephens. Then, steel roller mills began to replace the stone mills around 1900 in the larger milling cities. These used cylindrical steel rollers that were more efficient and easier to use, but didn’t grind all of the kernel of the corn, the germ being something that was left behind. Steel rolling also generates a ton of heat, which, as you know, can rob nature of a lot of its precious beauty and benefits. So what this did is make the cornmeal shelf stable, which seemed like a lovely idea, but this ‘new and improved’ cornmeal was virtually nutrient-less and mostly flavorless. (And if you’ve ever looked at the grains of conventional cornmeal or grits next to that of stone-ground, the appearance is incredibly different. The size of the grain is almost 3X as large in the stoneground variety.) So by the end of the depression, stone milling had pretty much disappeared. And here’s what happened to cornbread as a result of this- When the texture and size of the grain changed, so did the recipes. 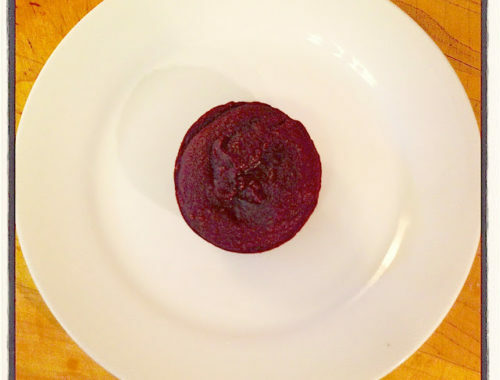 There’s a science that goes into baking and certain particle sizes don’t allow for the right kind of leavening. 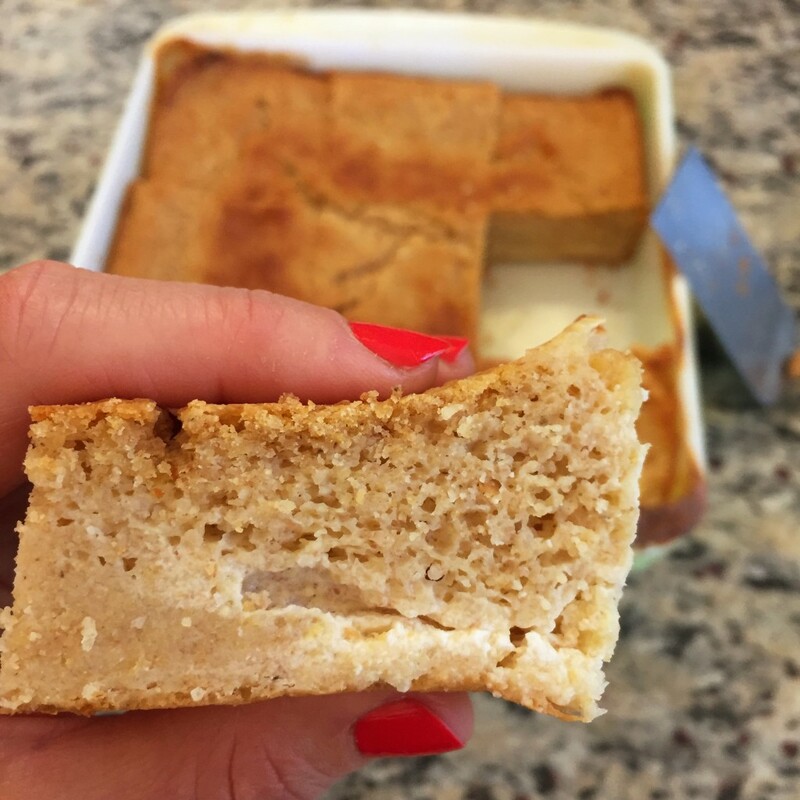 When using the new and improved cornmeal, cooks were left with something that resembled more of a crumbly cake, so they had to start adding wheat flour to balance it out for the right texture and consistency. And with the addition of wheat flour over the years, and the ever-changing nature of our agriculture, new cooks started realizing that cornbread didn’t have all that much flavor. This being, of course, because corn simply isn’t what it used to be. And so the flavor of cornmeal began to change as well… the new high volume steel mill companies stopped allowing the corn to field ripen and dry naturally on it’s own before grinding. And instead started harvesting unripe corn and drying it with machines. 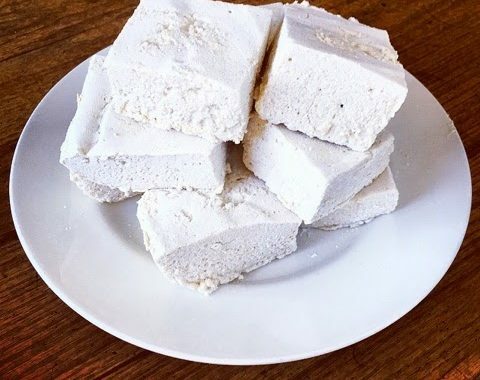 So cornmeal started becoming less naturally sweet…therefore people started thinking of adding sugar to it… and then here we are today, years and years later, with the cornbread debate. But if you have good corn, properly harvested and ground, the addition of sugar in good, authentic, traditional cornbread is just useless. Then there’s also the whole yellow vs. white cornmeal debate that I just cannot get into now. But I will say quickly that white cornmeal was all there was pre-depression in the Coastal South. And once the depression was over, and steel milling was en vogue, yellow was all the rage. So now we’ve had our history lesson, let me get a bit more personal. Here’s the thing y’all. As I clearly stated at the beginning of the post, I am born and raised in the South. So keep that in mind when I tell you what I’m about to tell you. I do not like traditional cornbread. I know I’m supposed to, which honestly has gotten me pretty far in my Southern life, but I can safely say that I just do not like it… as much as I like it when it’s doctored up with a little sweetness and such. It really doesn’t have a tremendous amount of flavor to me, it’s dry and I just prefer eating so many other things. You will not find many other Southern people who would say this but I guarantee you, you will find many other Southern people who agree with me. But they cook it and eat it because they’re supposed to. Like the good Southern folk they are. I do, however, love me some sweet corn muffins. I make those whenever we have chili on a cold winter’s day and I put sour cream and extra sharp cheddar and a little bit of sugar, and wheat flour and you know what? They’re DAMN delicious. Is it traditional? Heck no. But it’s goooood. Which brings me to today’s recipe. This is not mine. I got it from my mama. (Also born and raised Southern.) It’s Custard-Filled Cornbread and it was one of my favorite things ever as a kid. She likes her cornbread the traditional way too, but also can appreciate what this is. It’s tender and moist and dense (sinfully contains wheat and a little sugar), and the center is this delectable custard filling that comes simply from pouring cream or half&half into the center of the batter in the pan before baking. And know what else? It’s not made in a cast-iron. And it’s square instead of round (gasp!!). The one thing the recipe does do traditionally is preheat the pan before the batter hits it, in order to create a nice golden brown crust on the bottom and edges as the center cooks. And throughout the years, I’ve adapted the recipe to use buttermilk instead of regular milk, which again is a nod to the traditional. But by no means is this a traditional Southern corn anything. It is its own delicious thing that needn’t be compared to anything else. And it’s just darn tootin’ good. Says the proud Southern girl who knows how to make killer food no matter what tradition says. Begin to preheat your oven to 350 and place a 9×9 baking dish with 1 TB butter and a splash of light oil inside on the center rack to heat while you prep the batter. Measure out 1 cup of half&half into a cup with a spout and set near the oven for easy grabbin’. Whisk in the dry ingredients until completely combined. Then keep whisking for a minute or so more. Carefully make your way to the oven and open the door and pull out the oven rack where your dish has been heating. Pour your batter into the hot pan. Then slowly pour your cream/half&half into the center of the batter. DO NOT MOVE OR STIR OR JIGGLE THE PAN. Carefully and slowly push the oven rack back into the oven and set the timer for 1 hour. It’s never not been done for me in an hour. But you’re looking for cracked top, pulled away edges and golden brown deliciousness. Also? Your kitchen will smell AMAZING and you will consider wearing it as a perfume. Allow to cool on a rack and slice once it’s safe to touch. Oh. And I also don’t like southern slaw. You’ll hear about that soon enough. you’re too funny. and i loved the history lesson! 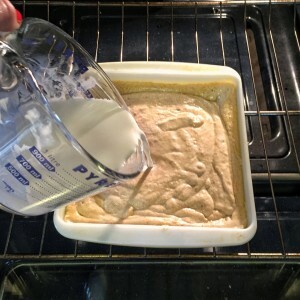 i just found a recipe for a cornmeal (dessert) cake that uses this same method! Oh really?! 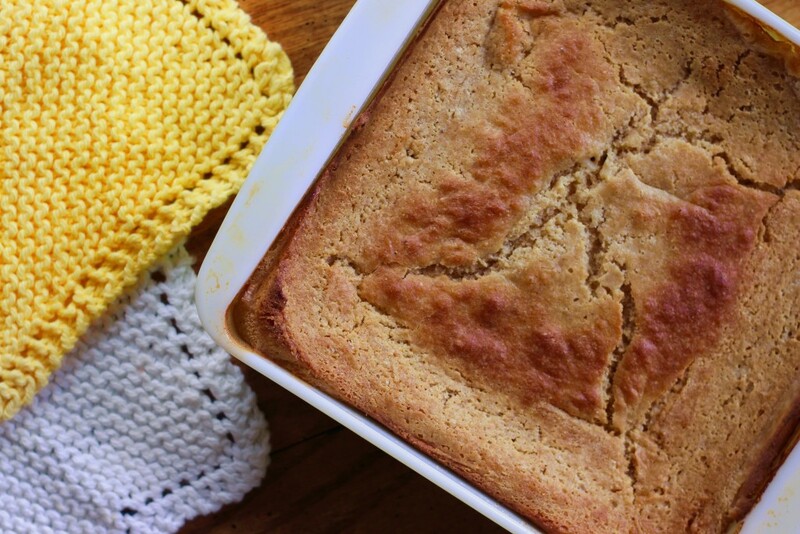 I love the idea of a cornmeal cake. The Italians have polenta cakes and they’re delicious. I wanna try that!! I too am a Southerner and love “authentic” cornbread … no sugar, no flour and preferably white cornmeal and definitely bacon grease. But, I’ll try anything with cornmeal as an ingredient. We grow blueberries and there is nothing better than a sweet corn muffin with blueberries folded in and a little bit of lemon zest. If you haven’t already made this, you should make Christina Tosi’s (from Momofuko Milk Bar) Cornbake recipe. You’ll find the recipe at this link: http://www.countryliving.com/food-drinks/recipes/a4076/cornbake-recipe-clx0312/ I warmed it up the next morning and ate it for breakfast. It’s wonderful! Love your blog! To be honest with you, I didn’t like “authentic” cornbread until I was an adult. Started out slathering tons of butter on it and grew to love it. 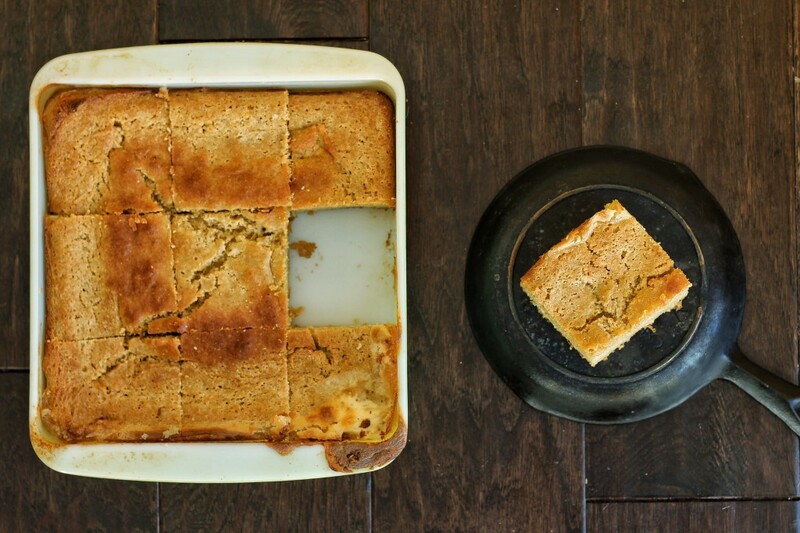 My mom grew up in eastern Kentucky and I remember her crumbling day old cornbread into milk and eating it with a spoon. That still doesn’t appeal to me! If you love southern cooking, check out Ronni Lundy’s Shuck Beans, Stack Cakes, and Honest Fried Chicken: The Heart and Soul of Southern Country. Excellent cookbook and well written. I believe the cornbread recipe I use is from that cookbook.